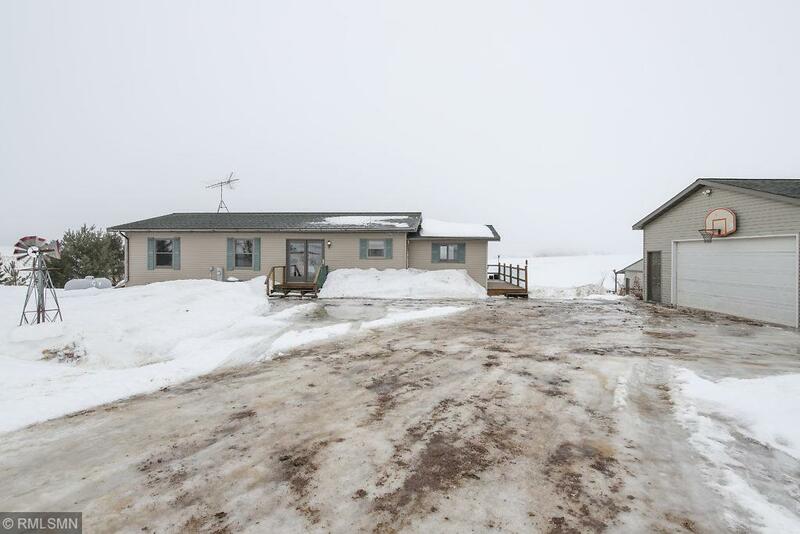 This 4 bed 3 bath home sits on 15.36 acres in the Ellsworth school district. Built in 2003, brand new furnace and central air in 2018. Fully finished basement with an extra large family room. Large 24x26 insulated detached garage and a 26x34 pole shed for storage with water and electric to it. Tillable has been rented, you can continue or do what you'd like with it! Lower level bathroom has a Jacuzzi tub, great for relaxing! Great opportunity for a hobby farm in a beautiful rural setting at a great price.